Wow, the year just few by! 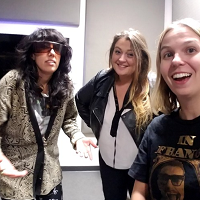 In #33, our last podcast of the year, Jessica and Kelly took pal of the pod Vivian Martinez to see The Disaster Artist. Kelly, as we know, huge James Franco fan, did it live up to her expectations!? Did it impress the other two!? Do you think Vivian makes a great Tommy (YES)? Who did the best Tommy impression? Find out on this great pod. Happy holidays and see you in 2018!